Trophy Maine Moose Hunts are available only to successful moose lottery permit holders. 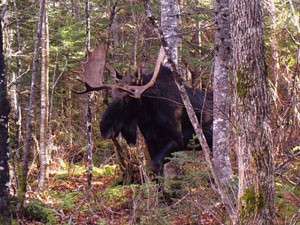 Each year Maine’s Department of Inland Fisheries & Wildlife issues nearly 3,000 moose hunting permits through a lottery system. 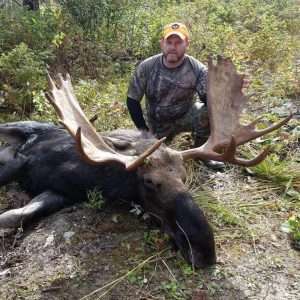 Permits are allocated by Wildlife Management District (WMD), season and gender. The permit application deadline is usually in Mid-may with permit drawing in mid-June. Permit Applications & Moose Hunting Information can be found on Maine’s IF&W website. 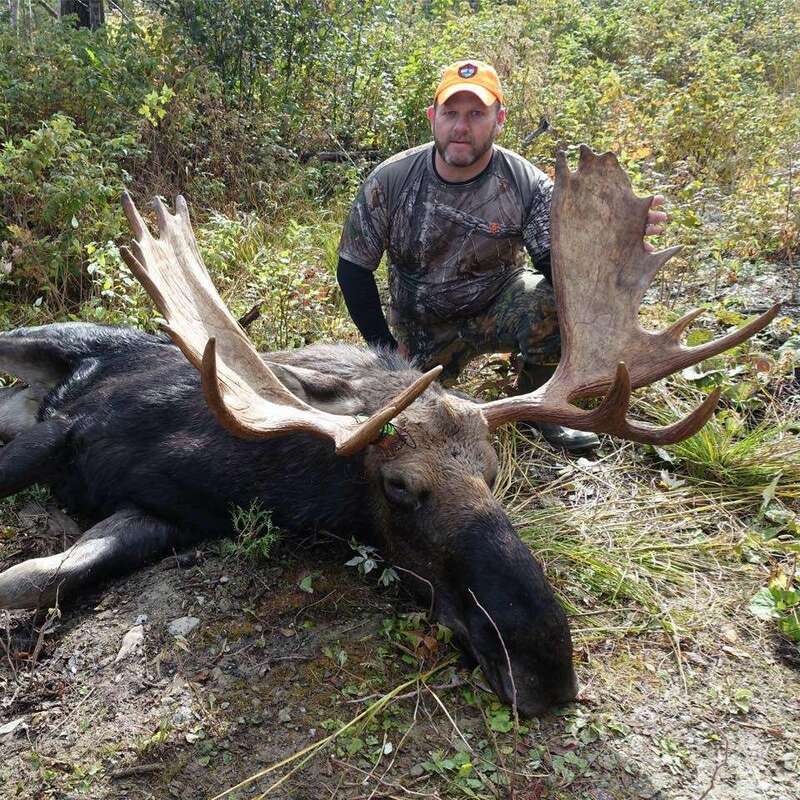 We assist our hunters with swapping their permit for a different zone for no extra charge. 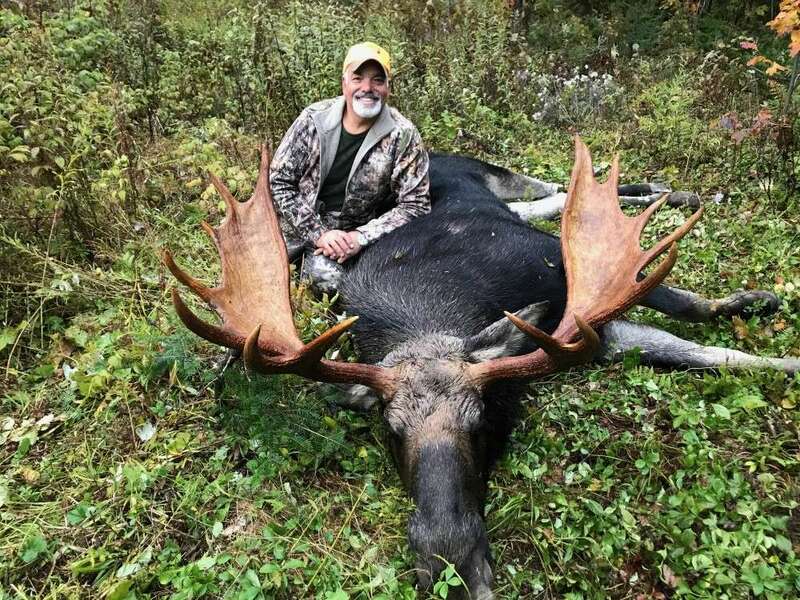 Hunting with us is not a meat or typical “road” hunt, we target Trophy bulls with antlers exceeding 50″ spread. 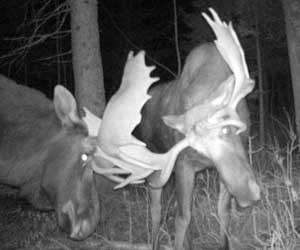 Our moose hunting strategies include calling, stalking and ambushing. Much of our time will be spent hunting wetland marshes, recent timber harvests and abandoned logging roads, inaccessible to passenger vehicles. 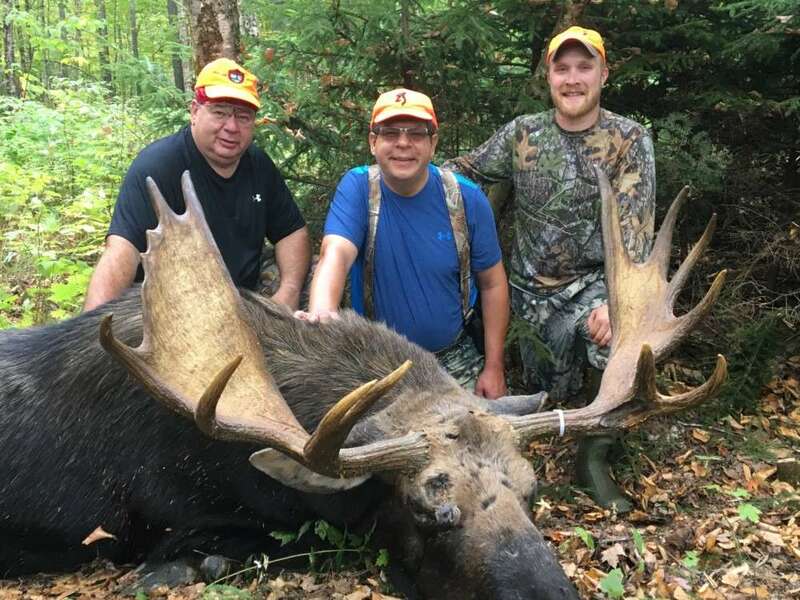 Moose Hunt permit holders are eligible to participate in our Grand Slam Package.